As autonomous trucks edge closer to reality, the industry faces issues that put millions of jobs at risk, however there are ways to provide an alternative. U.S. Senators Gary Peters (D-MI), Lamar Alexander (R-TN), and Debbie Stabenow (D-MI) are reintroducing the Vehicle Innovation Act, which is aimed at encouraging investment, research, and development in clean vehicle and advanced safety technologies. 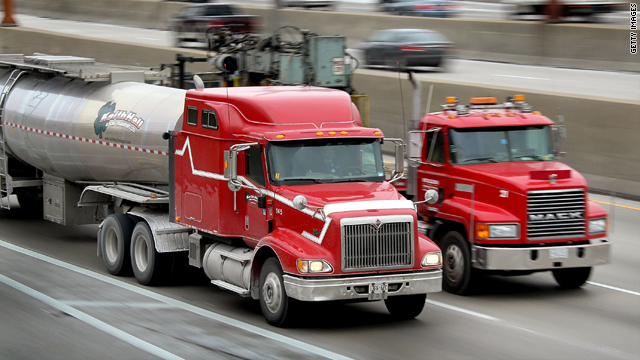 The bill seeks to promote increased fuel efficiency and decrease the reliance on foreign oil, by investing and investigating alternative fuels and technologies to bring increased efficiency to trucking operations across the country. Using a public-private partnership model for investment and research to develop improved fuel efficiency across the broad range of vehicles are in use today. It is not just fuel efficiency the $313.6 million will assist with, alternative fuels, including carbon and electric will also be researched as well as advanced vehicle-to-vehicle and vehicle-to-infrastructure communications that enable more efficient operational procedures to be developed. In the current climate, all of this should be welcomed, not just in terms of the immediate benefits of the results of this research and development, but longer term for the industry. The issue of autonomous vehicles is not going away, and there is a potential risk to jobs if steps are not taken to prepare for the day when such technology is viable on the public roads unsupervised. It is the operational efficiency savings made possible by technology from developments encouraged by this bill that will help keep manned vehicles at the forefront of the industry in terms of economics and efficiencies. Fuel efficiency and alternative fuels will reduce costs longer term, and present a solution that is less reliant on foreign fuel supplies, which is inherently more predictable and stable. Cost savings and added efficiencies will ensure that manned trucks retain viability, bringing with them added reliability and improved maintenance requirements that will aid long term ownership costs for all. It is clear that the industry has many challenges ahead, and leveraging the power of new technology and new ideas is the way to overcome them and move forward. The public-private model ensures funding while also bring the benefit of true private innovation that will bring the new ideas we need for the future, the best of both worlds that can only benefit the industry in both the short and long term. What can we expect from such initiatives in real terms though? Short term, improvements in fuel efficiency, the fuel saving benefits of hybrid technology and engine down speeding, with a focus on alternative fuels are in the medium to long term. Whether that is hydrogen fuel cell, electric or hybrid solutions, we can be sure that a move towards fuel systems sourced locally, removing the reliance on foreign supplies is sure to add both stability and cost savings for all operators.